Is Fighting Global Warming the Solution to Water Shortages in Malawi (or Elsewhere)? | Watts Up With That? 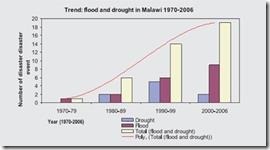 In late May two evangelical environmentalists, recently returned from visiting Malawi, published articles in which they said poor Malawians are suffering from reduced rainfall caused by manmade global warming. The implication was clear: To help the poor in Malawi (and other developing nations), we must fight global warming. If either author had dug deeper, he might have concluded differently. Although the controversial Berkeley Earth Surface Temperature (BEST) project reports about 0.6°C of warming for Malawi from about 1970 to about 2010, the data are highly suspect, coming from fewer than 10 monitoring stations in a country that stretches nearly 600 miles from north to south, averages about 75 miles wide, and is slightly larger in area than the State of Ohio. Granted the widespread deviance of temperature monitoring stations even in the U.S. from standards set to ensure accuracy, and the likelihood that “urban heat island” effect (which occurs even in small villages) accounts for about half of apparent global and regional warming in recent decades, it’s likely that BEST’s data for Malawi considerably exaggerate any warming there. Source: UAH Lower Tropospheric Temperature data v. 5.5, Malawi data extracted and graph prepared by John Christy, University of Alabama, Huntsville. Note: Y-axis is anomaly from mean temperature for the period in degrees Celsius. Red arrow is IPCC computer model projectins; blue line is satellite observations. Although the U.N. Intergovernmental Panel on Climate Change’s computer models projected about 0.7°C of warming from 1979 through 2012 for Malawi, satellite measurements—unaffected by the problems that compromise land-based data—show no statistically significant trend in temperature. Of course, childhood memories are notoriously poor data sources, both for the past and for comparison with the present, but Merritt added this graph, from the 2006 Action Aid report (click graph to enlarge), showing apparent increases in droughts and floods. Yet drought and flood data are no substitute for rainfall measurements. They reflect changes in population and land use, as climatologist Dr. David Legates explained in his lecture on global warming for Cornwall Alliance’s Resisting the Green Dragon video series. As population grows, demand for water increases, not just for drinking but also for agriculture, industry, and other uses, resulting in more frequent and severe droughts—even with no change in rainfall. Malawi’s population nearly tripled, from about 5.7 million to 16.8 million, from 1977 to 2013. Population growth also results in land use changes. As land becomes more paved or built up, it absorbs less rain, sending more runoff into streams, which then flood more frequently and severely—again, even with no change in rainfall. As undeveloped land is converted to agriculture, demand for irrigation water grows, and agricultural land in Malawi grew by 43 percent from 1977 through 2011 and 75 percent from 1961 through 2011. In reality, while rainfall amounts have risen and fallen in Malawi since 1900, there is no significant trend, as the data in the table below show. In 1990–2009, Malawi’s average monthly rainfall was 4% higher than in 1900–1930, 0.5% lower than in 1930–1960, 3.1% lower than in 1960–1990, and virtually identical to the average for the full 110 years, and there was no apparent delay or shortening of rainy seasons. Note: September 1900-1930 and 1930-1960, 2.9 (mean of existing September data) supplied for blank cells to permit computation of percentages. Are poor Malawians suffering from water shortages? Yes. Is that because of global warming—manmade or natural? No. Is fighting global warming the solution? No. About 80 percent of Malawi is within 75 miles of Lake Malawi, and most of what isn’t is within 50 miles of the Shire River, which flows south from the lake and eventually joins the might Zambezi River. Fifty miles is a distance easily covered by aqueducts. Fombe—where Merritt and Birdsall visited and heard the anecdotes about declining stream flow—is at least potentially a water-rich village. It is a mere 10 miles from the Shire. For comparison, the Roman aqueducts, built two millennia ago, carried water 260 miles, and the system of aqueducts constituting the California State Water Project (SWP) provides drinking water for over 23 million people (over 1/3 third more than the entire population of Malawi) by transporting water hundreds of miles from the Colorado River, the Sierra Nevada, and central and northern California. The shortest, the Colorado River Aqueduct, is over 240 miles long. Of course, California is wealthy (though it wasn’t nearly so wealthy when much of the SWP was built), and Malawi is poor. How can Malawi afford to build such aqueducts—even if they would cover far less distance and serve only a small fraction of the people? The real solution to Malawi’s water needs is economic growth that will enable Malawians to bear the costs of improved water transportation, storage, purification, and conservation through efficient use. Sad to say, however, if climate change activists succeed in enacting policies to fight global warming, Malawi’s economic growth will be curtailed. Why? Because abundant, reliable, affordable energy is an essential condition of economic growth, and activists seek to fight global warming by shunning the use of the most reliable and affordable energy sources for the developing world—coal and natural gas—and putting far more expensive “Green” energy sources like wind and solar in their place. As it happens, Malawi has abundant coal reserves and already mines them (PDF download), though it could benefit from mining far more to generate electricity and deliver its people from the smoke that comes from burning wood and dried dung as primary cooking and heating fuels—smoke that causes high rates of illness and premature death, especially among women and children, from respiratory diseases. Ironically, and sadly, the climate policy Merritt and Birdsall want will only bring further harm to the very people they long to help, by prolonging their poverty—the real threat to Malawians’ health and life. E. Calvin Beisner, Ph.D., is Founder and National Spokesman of the Cornwall Alliance for the Stewardship of Creation and author of several books on environmental stewardship. Could you detail how you get regional (or national) data out of the UAH tropospheric data? So, AGW is causing droughts, somehow, and expensive inefficient power is the solution? Another post that supports what I have always argued i.e. the real catastrophes of AGW have and will come, not from anything that climate has or is likely to produce, but from the greatly damaging, ineffectual, futile, and ultimately insane “solutions” that have been enacted already and are demanded for the future. “Solutions” to the “problem” of CO2 which it is increasingly evident is not one now nor likely to be much of one in the future. Indeed, if I was forced to make a guess, I would lean toward the suggestion that, when at some distant future point this matter is finally resolved scientifically, CO2 will be, like most of those things that have been ballyhooed as “bad” for us, ultimately found to be a net benefit. Marxist have been working very diligently in Africa to insure that no nation becomes economically stable. Malawi with a strong economy, is the last thing they want. I venture to suggest that the root cause of much of the problem in countries such as Malawi is that their expanding population has outrun the available resources. That might be because what resources they have are not being properly exploited (perhaps they have insufficient capital, or their governments are incompetent), or because the resources are not available. Such problems need solutions from both the supply side (resources) and the demand side (population). The focus on global warming in relation to these real problems is a fatuous distraction. For David Wendt: Bravo, you said it all In comments on this and other blogs I have expressed my complete agreement with you. BRAVO, again. The root of their problem is uncontrolled population growth. Even if AGW were real there is not anything that they can do about it so efforts spent in that regard will be efforts waisted. If they do not control their population, nature will and that is what is happening. Greens just love to cause needless suffering and death. And frankly, I wouldn’t bet that they don’t know they are doing just that. After all, world population has to be reduced, right?. How sad that a potentially very prosperous country has to be condemned to this by these callous, hypocritical, ignorant, delusional, mean-spirited, RACIST idiots. If Malawi is suffering from water shortages caused by global warming then the parts of Zambia and Mozambique bordering the west of Malawi must be absolutely parched. They must be screaming for water. Lake Malawi appears to run down 2/3rds of the entire country with a couple of other water areas further south of the lake. It seems that every study today has to just mention climate change. Even if they find other reasons, just the mere mention of climate change is necessary – perhaps to get funding approved. Do you actually have any evidence for that? Really and truly? It is a rather sweeping assertion that requires a challenge. I am no particular fan of “greens” myself but I do not for one minute believe that they love needless suffering and death. And I do not for one minute believe that you can make your statement stand up to genuine scrutiny. Just wondering if Will Alexander’s work on rainfall in Africa touches on Malawi…..
I’m not particularly religious, but this passage popped into my head when I read your post. Deforestation can increase droughts, both on a local and regional basis. Between 2000 and 2003, Kenya’s main water catchment areas, Mount Kenya, Mau Forest, Mt Elgon and Cherangani lost upto 2% of their forests. It is such commonsense, that I cannot see why it is not a the forefront of any discussion of drought. Malawi also has problems due to extensive deforestation. How much of this is weather? OK Tropical weather – but weather none-the-less. We have weather in England, too [but in a cooler clime]. As with almost every problem to beset people in Africa, I think you’ll find water availability or otherwise is down to corrupt politicians making hay with the money thrown at them by neo-colonialists posing as activists for various causes, including climate change. Margaret, I think the point he is making is that the only way out of poverty for these people and people like them, is cheap reliable energy. Like coal. His point is that by keeping that energy away from them they are condeming them to misery and death. Greens by and large have not thought their actions through to there ultimate result. It certainly is a sweeping statement. Now Margaret here are some quotes from how some of them may think. Brace yourself. I see a couple of commenters pointing to deforestation. I went checking and it does appear to be a serious problem in Malwi as forests and water / rain are strongly linked. Now let’s have a policy of denying them cash to build coal / oil fired power stations to tackle climate change and voila: more chopping of trees. Deforestation and lack of energy go together like strawberries and cream. As there has been no Global warming for 17 years, the question becomes, how does one fight something non-existent. Greens are at most stage one thinkers; on the level of a 5 year old – “I WANT” – for instance, STOP GLOBAL WARMING. and that’s it. Feedbacks or dynamic systems are beyond their comprehension. Of course this includes noncomprehension of market mechanisms. And no, you can’t make the market go away by outlawing it, you would just create a black market and corruption, which is again a market, the market of offering access to power for money. They would happily install, say, socialism if they thought it helped the environment, only to run out of toilet paper – and then blame evil Americans or whomever. They are about as dangerous as a 5 year old; and when they happen to gain the power over a nation with nuclear bombs, they are about as dangerous as a 5 year old in control of nuclear weapons. So if they demand your candy, better hand over the candy. The laws of stupidity apply. A stupid person is the most dangerous person in the world. Malawi is one of the poorest countries in the world. It has been plagued by lousy governance, superstition, foreign meddling and a range of other problems for a long time. Its climate is entirely peripheral to the state that it is in. There are plenty of countries with more difficult climates that are doing a whole lot better. 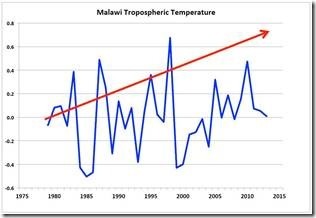 No doubt the Malawi elite are slavering at the chops at the prospect of free money because they are the victims of climate change caused by the evil (but, fortunately, rich) West. After a recent vacation to Tanzania, Rwanda, and Uganda, it was apparent that water storage and distribution was the key to solve most of their problems. Of course, that solution would have to wait for political improvement, and that is probably the stumbling block for almost all progress in Africa. So called “sustainable” water policies include onerous restrictions on water use, and increased expense. Saying that increased population is straining the water supply, or predicting that “nature will reduce the population,” assumes that there are no “sustainable” water restrictions in place sabotaging the cultivation and irrigation of land which support the people who live in Malawi. “Sustainable” policies are destructive to life giving energy and agricultural output, as the article points out, and are a deadly form of eco-colonialism as another poster pointed out. However, one has to wonder at some point if there is a spiritual aspect to such underlying hostility towards humanity’s use of water, air, fire, crops, coal, and cattle. Malawian babies are not the problem; World Empire activists for the United Nations and their ridiculous scary water shortage models are more likely the problem. Now Margaret here are some quotes from how some of them may think. Brace yourself. Thanks for the link to those ohhhh so priceless quotes ! What is more convenient for World Empires is to reduce the population in small subject countries so that it is only enough to support the palaces, and maybe a little tourism. A larger country under a World Empire pays tribute (ref) and the economy is subjugated to weaken it and keep it subject. So when World Empire activists/UN scientists talk about overpopulation, do not rule out that it may refer to the fact that too many people cannot be controlled in a communist system supporting its aristocracy. It has nothing to do with resources. In its fiscal 2014 State and Foreign Operations budget proposal released in April, the Obama administration asked for $1.57 billion for contributions to international organizations, including $617.6 million for the U.N. operating budget — up from $568.8 million in fiscal 2012. But other agencies giving to the U.N. include the Departments of Labor, Energy, Agriculture, Defense, and Health and Human Services, CNS News reported. The fact that the population of Malawi is 1930 was around 1.6 million and the population in 2010 was close to 15 million wouldn’t have a thing to do with the increased scarcity of water would it? What I saw when I clicked on your first link were a lot of people, some of whom used to be famous, spouting about politics. I found approximately one who said something even remotely similar to the comment about suffering. But using my (genuine) sceptical x-ray glasses (from an advert in the Beano circa 1965, I dug a little deeper, to find that the site you sent me to is a bit of a front for these people, Gethsemane Olivet Fellowship ( linky http://www.watchmanspost.com/ ), who, it seems, are a bit against people themselves, since only the chosen ones will be resurrected by God in the end times. Seems a bit mean, don’t you think. Those poor misguided souls whose only crime was to be born in a country that isn’t Christian. No, I think the quotes were all about trying to convince others that world governance which, it would appear, is one of the probably spurious signs that we shouldn’t make hideouts in the wilderness because it won’t do us any good anyway. As for the other link, well, it’s just Godwin’s Law (http://knowyourmeme.com/memes/godwins-law) hidden in a semi-academic essay. (Interesting that the bottom of the essay links to a radical left/anarchist publisher’s website. (http://www.akpress.org/) The glaring right wing meeting the eadical left seems a different mixture.) Nice to know but not really that convincing in the end. I know the Nazis were into (1) a romantic notion of the environment, and (2) wholesale slaughter of Jews, gays, Romanies and political opponents but I did learn a little which is more than can be said for the spurious Green Agenda website. No, wrong. I learnt that, just like the digging I did around Intelligent Design and Moon landing hoax sites, it usually comes down to the argument from personal incredulity. I can’t believe it therefore it cannot be so. I was initially turned off by many “Green” claims of impending disaster on this, that or the other, but when I got past the incredulity, the issues didn’t go away, the evidence (yes, there is evidence and it gets put on this site on a daily basis by the great and good of the “skeptic” movement) didn’t go away and eventually it forced me to accept the “warmist” (there, I’ve said it) position. It didn’t hurt. But now I know I shall be going to Hell for it. Well, I am not joining the slow train coming round the bend. I asked if there was evidence and this isn’t it. After all, it wasn’t some greens, or a few greens or one or two greens that like to inflict suffering and death, it was greens. And a bunch of quotes, most of them from politicians, that are collected to inflame the paranoia of a bunch of people who, frankly, ought to use their brains with the critical thinking module dialled up to at least eight out of ten, to see that politicians say stuff because they want to get elected. Some of it they believe, some of it they don’t, I’m sure. So, as an attempt to answer my question, the links you provided are a fail. I see two self-righteous swami guru hippies in white turbans and flowing robes. (: Or two you-know-whos issuing a Fat Wah. This discussion, sadly has once again devolved into either a slanging match about ideology or claims that the problem is that there are too many Malawians. It is fairly typical of the level of debate about poor countries in the West. I wonder why centuries of missionaries and billions of dollars of aid have made no appreciable difference? Blame seems to be very important to the Greens. It is vital that the right people are blamed. The story of climate change harming the people of Malawi is correct because the right people are blamed. Nobody wants to question it too deeply. When you have the “right” answer you must not ask awkward questions. UAH data comes in 5-degree grids. So it’s quite fungible. What are they teaching in these schools? I wonder why centuries of missionaries and billions of dollars of aid have made no appreciable difference? I have friends who have done aid work in Africa. They speak of villagers unwilling to help in the slightest way to build a school for their own kids unless they were paid. They speak of the inability to get anything done unless everyone in a position of authority is bribed. You must have a large budget for bribes to operate in Africa at all. They speak of rampant theft of construction materials and driving back a week later to find that the brand new school building they had constructed had been completely demolished and nobody willing to talk about who had done it. Apparently they forgot to bribe the right person to “protect” it. They speak of soldiers setting up random road blocks and extorting money from passers by because they hadn’t been paid. They speak of the fear of the dangerous men with machetes and guns living out in the bush who sweep in from time to time and commit random atrocities. They speak of a widespread belief in magic and a market in the sale of body parts from babies and children. It is very dangerous and very frustrating work and I admire the people willing to do it. One of my friends nearly died from malaria contracted while working there. Another member of their group (a woman) was shot in the head at a road block shortly after they left. My friend was not based in Malawi and Africa is very large and diverse place. Nevertheless these stories illustrate some of the reasons that outsiders like missionaries and aid workers can fail to have much impact in Africa. A society can be so dysfunctional that it cannot easily be helped. You took offense that someone lumped all of you Greens together, but you seem to portray Gethsemane Olivet Fellowship as speaking for all Christians. Why is that? You come here everyday and see proofs of global warming verified? Where are the links to threads here which make your case? Let’s say for a moment that average Mom and Pop Greens have their heart in the right place, but just haven’t critically examined the outcome of their policies. Would that explain what you find in these links? The last thing Africa needs is any more whiteboy eco-evangelists running around creating more problems for them … homeboys should stay at home and leave Africa alone, it doesn’t need your meddling or your prescription for what you think it needs to be. I have fond memories of ‘old’ Malawi so do me a favour and buzz off! Africans have survived for a lot longer than your lot and will still be around when your lot leave to join the mothership in the tail of the comet. Slightly OT – just to illustrate the idiocracy in which we live, I saw a “USA Today” rag in Frankfurt airport a few minutes ago which leads with a big 2-page article on a new spin on the CO2 AGW scare. Perhaps an interesting insight into their evolving tactics in CAGW command bunker. The story is that CO2 is causing plant growth to increase (they concede this) BUT – its bad, not good, especially since more plant growth = more pollen = more hayfever and breathing allergy problems. There was a hero amateur allergy specialist collecting pollen samples from his roof and tracking an increase. The headline was “climate change is affecting every breath you take”. So maybe the AGW command bunker is preparing a narrative to deal with incontrovertible evidence of planetary greening from CO2 (a.k.a. Mat Ridley), its a sort of “Day of the Triffids” theme – now plants are bad. This is all the more evidence of the Nietsche – Nihilism – Love Of Death philosophy driving CAGW. Looking at life, they see only death. I didn’t lump all Christians together with the Gethsemane Olivet Fellowship and all comments about the group were specific to them. If I didn’t make that clear then I apologise althugh how you could jump from what I did say to your assertion I don’t know. I wasn’t taking offence at the risible comment about greens, I was merely pointing out how risible it was. I find some of the comments about funding of scientists funny when the funding on both sides is open to question. And I don’t actually consider myself a green. I just take the philosophy that I look after my home because someone else might want to live there one day. Thank you, however, for the links. I’ve long since given up reading newspapers without checking facts or looking for sources. The Daily Express doesn’t have a good track record on some stories (Diana, Madeleine McCann for example) and I know that it is now a laughing stock for its front page stories on the weather. Read Flat Earth News by Nick Davies to see how newspapers operate all too often. I was a long time reader of the Daily Telegraph. No longer. Of course the impact of any drought wasn’t made worse by the political elite selling the countries maize reserves and stealing the proceeds. Very good and accurate post. TIA, This Is Africa (A phrase used in the movie “Blood Diamond”). With aid from developed nations such as the USA, Aus, the UK etc going to Africa, most of it is siphoned off into the pockets on corrupt officials. Almost none of the aid goes to where it was intended. Some aid does get through, and there is evidence to support that, but what mostly happens is that poor people in rich counties get poorer while rich people in poor countries get richer. The poor just fight over the scraps. East Africa is stunning. The land, people, food, cultures, truly stunning. It also is very wet and green. True there are many arid areas such as the Afar region in Ethiopia, but MOST of the land where people live is green and very productive. Rain fall isn’t the problem (Although rain fall did change thousands of years ago over Ethiopia that lead to the drying of Giza), but available water is. There is a shortage of clean safe drinking water, I know for fact, in Ethiopia and likely true in other East African countries too. There are massive hydro systems diverting flows from the river systems. 80% of the water that fell over the “Whispering Falls” (Sometimes called the Blue Nile Falls) on the Blue Nile in Ethiopia is diverted for hydro power. You have people living in mud/wood huts near the falls and right next to them, in what was their farmland, are brand new shiny new galvanised pylons taking power to the city. In fact some of those huts had power meters installed. Contrast is not a word to use to adequately describe the imagery. Many people are being displaced for resource mining, oil/coal/gas/precious stones and metals. None of that wealth is being trickled down to the locals. None of the locals are even being employed, workers are imported. Many people are being forced off their land for “carbon sequestration” projects. But there is a bigger problem. The Blue Nile flows into The White Nile. There is a massive hydro/dam project being built in Ethiopia, it’s the biggest such project, at US$4.5bil, in the entire expanse of Africa. It’s called Grand Ethiopian Renaissance Dam and it has ALL of the downstream countries concerned. Watch out for (More) strife in the region in the coming years. Good post and echoes what I have said for years- development helps the environment more than all the ”well meaning” ecologists/environmentalists on the planet. If Malawi has coal then for goodness sake burn it for cheap power. Sorry Mods, syntax eeror again in my e-mail address! Well Margret, your assertion that Jimbos quotes were just from a group of politicians, is hardly a reasonable objection to the assertion. Those politicians, who universally cry out about how overpopulated the planet is, have used hundreds of billions of dollars of public funds to further their agenda of shutting down inexpensive energy to the worlds poor. The historical portion of his two links was indeed a valid criticism of the political aspect of the green movement. The green movement is not the [first] human endevour to bring in religious overtones to a political statist agenda. (I suggest you study “The Mythopoetic origins of Marxism”) as a scholarly example. The point is their policy does cause suffering and death, their words point to a clear desire to depopulate the planet, and they demand a statist one world type government, and have hundreds of billions of dollars at their disposal. The only reasonable objection you have as I see it, is that I do not know if they “love” the suffering their policy creates, or if they are merely apathetic to it, considering it [necessary] for their utopia. However I do not care about their internal feeling. I do wish to wish to ensure their failure. I have just reread the quotes and I still cannot find one that justifies or supports the assertion that “Greens just love to cause needless suffering and death”. I don’t have the time at the moment to chase down every quote to see if it really is what was said (like I have said, I am properly sceptical, not gullibly skeptical as so many that hang about on this site seem to be). was eliminated by Christianity.” (Al Gore) seem strange on such a site but I don’t know if the GOF is a Catholic organisation (and therefore worships a goddess in all but name) or not. They certainly don’t like the Gaia hypothesis (which I don’t either but I don’t get worried about it) or Mikhail Gorbachev. But taken as a whole or individually, it still doesn’t tell me that greens love to inflict suffering. As for our hated Nazis, well, I don’t doubt they were nasty people who loved animals and trees. Except of course that the main reason they were evil is not that they loved animals and trees but that they bought the real hoax of the Protocols of the Elders of Zion and wove it into a sick ideology. I don’t have any time for Marxism either. I would have called myself libertarian until I came across some of the “swivel eyed loons” (copyright David Cameron, 2013) that are proud to claim the libertarian tag and are nothing but. Oh, look. Don’t know who thought of it first but here’s another list that someone could have linked me to. I’ve played spot the difference and I think I’ve found three. I’ve seen this sort of thing going on in vaccine denial sites – copying the same unsubstantiated and unsourced lists and hoping no one has the nouse or the time to check. Cheap. By the way, looked at the Green Agenda “sources” link and tried a couple of them. As I thought, so often they don’t do what they say on the tin. Margaret, You are employing well- known rhetorical tactics we’ve seen many times before. You are certainly welcome to continue. However, be aware that every time you slip a question or try misdirection, obfuscation or denial, that there are many people around here that see the words for what they are. Margaret Hardman, I’m sorry the link didn’t shake you on bit. Let me put it this way, many Greens know full well what reducing DDT use in developing countries means but won’t say.They know full well what depriving large swathes of humanity of cheap and plentiful energy will mean but wont’s say etc. etc. I suspect they have a ‘hidden’ agenda. Now, can you believe this! LOL. According to Golkany’s 2010 post the net global population at risk of water shortage is set to decline by the 2080s. LOL. Seems an “aside from us” was missing from the end. Today in history. Exactly. Malawi has been severely deforested to the point that even quite poor people have to spend cash to get fuelwood. Flying over the south of the country one cannot avoid being astonished at how much of the mountainsides have been cleared for charcoal making for domestic cooking fuel. It would be a ‘green thing’ to do to plant a great number of trees (which thrive when planted – just like before) and to use coal as a substitute cooking fuel in the interim. Coal can be pelleted just like wood. To burn cleaning coal has to be homogenized in some manner. There are several examples of this already so no need to detail here. Malawi has far more than enough coal to give the forests a chance to recover. When the forests are better managed, they can processed into charcoal (a high value biofuel) in a far more efficient manner than now, and the stoves used for cooking can also be greatly improved. GIZ/ProBEC was involved in this until the funding term expired in 2010. It is pointless to whinge that people should not use coal when there is such a man-made forest crisis. No wonder the rainfall is errant. You can’t cut down all the forest and think there will be no local rainfall consequences. It may even be local warmer as a result, but it certainly has nothing to do with ‘global warming’ because there isn’t any of that apparently. There is also a 19 year rainfall cycle which no one bothers to consider when making blanket statements about the weather and changes therein. My experience of African villages and water source reliability, having working on it professionally, is that people simply forget what the conditions were and overstate the reliability of local supplies. Analysts are advised to examine regional cycles and lake level records, weir measurements (the Brits loved building them in the 30’s) and farmer’s rainfall records which are usually very reliable and often the longest continuous records available. Farmers also collect evaporation pan information. Weather records on tea estates are probably the most reliable in Malawi and there are far more than 10 of them. It’s a tough choice: whether to spend multi-$billions fighting a mythical problem, causing untold human misery and death in the process, or addressing actual problems, like water shortages, fuel poverty, and real pollution, at a fraction of the cost. But, this is why we have politicians. To do our “thinking” for us! There is no logical connection between individuals holding a view of the afterlife (whatever the view may be), and scientists and activists aggressively promoting eugenics/population control policies. The two have nothing to do with each other. Making an equivalence between all of the people throughout history who have believed in an afterlife stretching back thousands of years, and the population control activists is not valid. The person who used the argument that one is just as “anti-human” as the other is deeply confused and is ignoring the crimes and cruelty of eugenics and population control as practiced in countries such as WWII Germany and in China. Specific policies include starvation, Lysenkoism, forced abortion, sterilization, and seizure of babies already born. If anyone sterilizes another person, that activist has maimed another, not only physically but also spiritually. Because sterilization does not involve a visibly missing limb, does not mean that it is not an exceedingly brutal amputation, carried out on the simple in foreign countries. You need to add the Japanese Unit 731 to that list. Whether or not you can judge a group by its leaders or radicals is a good question. However, I assert that you can do so. Part of being a Christian or a green or a Muslim for that matter is being a responsible citizen and shooting down the radicals and stupids. Failure to do so means you silently agree with what they are saying. This is why logically the green movement CAN be judged by the words and actions of the few. If they fail to police their own people and fail to shout them down they are silently agreeing. And this conformity especially in the green movement is why these quotes are so relevant. People like David Suzuki call humans maggots and instead of denouncing the guy as a village idiot, the green movement worships the man. I am sure there are more pragmatic greens in existence but the fact that they buy books and attend lectures and view their websites is enough evidence to state that greens are responsible for the sorry state of their movement. As for over-population, that is one ship that is never responsible. In every case every utterance about how bad people’s lives get, there is always another cause. In this case, poor water management due to either incompetent government or perhaps because of a lack of resources. Climate change effects everyone equally, from New Orleans after Katrina to St. Louis due to rainfall, a society either adopts well or not. More people is the ultimate power because more people means more wealth to build things that prevent things like deforestation and floods and droughts. That is why whenever I read nonsense about how people are stripping the land bare and its due to some pet theory, I just think of some little kid who has no ability to actually think things through logically. The more I read from scientists the more I think they are emotionally and intellectually stunted at some child’s level and that as long as society glorifies these intellectual children the more people will want to be like them and so in a way these children are responsible for the dumbing down of our society. Just like the case of the greens, by not policing their own, all scientists regardless of whether they agree or not do share some responsibility. You can either call your fellows out for being morons, or you can sit silently and make sure that you will be lumped with the rest of the children. Malawi really needs inefficient, ineffective, costly wind power. Just like it needs a navy (Malawi is landlocked). Malawi, located in Southeast Africa, is one of the poorest countries in the world. There used to be no trained doctors outside the capital city. Then in 1998 Canadian Dr. Chris Brooks, on his own initiative, started treating patents under a tree in rural Malawi. His good work has grown to now comprise two rural hospitals that provide medical care to 200,000 patients per year. Chris told me his story over a coffee several years ago and has become my friend. The Lifeline Malawi story is truly inspiring. Many decades ago, Dr. Albert Schweitzer received the Nobel Prize for his good works in (now) Gabon. Dr. Chris Brooks is the Albert Schweitzer of Canada. If anyone truly wants to help Malawi, then consider helping Dr. Chris is his good works. benfrommo has dealt a blow to many of the arguments from both Margaret and her opponents. What he has stated is precisely why Anthony, Roy S., Lindzen, et al have vehemently addressed the PSI/slayer crowd. Silence is tacit agreement. @Patrick inre Japanese Unit 731. Like your example, there is an experimental aspect to the forced sterilization programs. According to Robert Zubrin, author of Merchants of Despair: Radical Environmentalists, Criminal Pseudo-Scientists, and the Fatal Cult of Antihumanism, in order to reach sterilization quotas in poor countries, “the programs use defective, unproven, unsafe, experimental, or unapproved gear, including equipment whose use has been banned outright in the United States. They also employ large numbers of inadequately trained personnel to perform potentially life-endangering operations,” as a regular practice. There is another way to look at the suffering aspect. Since it would appear to be that the alternative to using renewable energy sources is to use fossil fuels, we could look at the suffering from respective energy sources. According to http://nextbigfuture.com/2011/03/lowering-deaths-per-terawatt-hour-for.html, coal worldwide is responsible for 161 deaths per TWh (extraction, transportation and use in energy generation I assume), oil is 36 deaths per TWh, wind 0.15. I realise that these figures are arguable but my opinion is that they are in roughly the right proportions. So the desire to make more electricity from fossil fuels turns out to incur suffering and death in excess of the suffering and death preferred by the greens. This is probably an endless game we could play. I have no doubts that there are extremists of all kinds out there who take ideas beyond anything that is common sense. Most greens, most “warmists” and most “skeptics” are a lot more sensible and probably a lot more practical. But if you want to change my mind with a list of politicians going on about the environment or world governance then you have a lot more digging for evidence before I reach my personal tipping point on that one. You are trying to draw moral equivalency between skeptic viewpoints and your viewpoints, but your efforts fail- we see your words for what they are. In fact, you not only give tacit support to some of the very worst ideas of modern human society, but you come here and overtly defend those ideas and those who would implement them, to the detriment of all mankind. There is no need, when citing Environmental Protection Agency science, to selectively cite the claims of the “deaths” and “suffering” caused by the use of fossil fuels. The “deaths” and “suffering” preventable, according to government reports by government departments, include also the suffering and “death” caused by lighting fires to heat homes in Alaska. Apparently, there is also government reports of “suffering and death” caused by dust from agriculture, and methane released by beef cattle and dairy cows. One response has been to pass legislation that requires states and state agencies to publish the scientific papers used to arrive at these unique conclusions. That nextbigfuture.com is an interesting site, but I’m not sure from where all those values for deaths per terawatt come. Do the solar and wind deaths include evaluations of extraction, pollution, and final disposal resulting from all the rare earth elements as mined in China or just people falling off roofs? But then, I suppose they couldn’t put it on the internet if it wasn’t true (I’m a french model). However; I absolutely, utterly agree with you. Coal is evil, an abomination upon the face of the Earth. Those deaths per terawatt are absolutely unacceptable. Any death is too much. Shut down all coal plants, NOW! What, people will die if we do this? For immediate example, people on life support in hospitals or people in traffic accidents from lack of power for traffic lights. Lack of power for heating, air conditioning, refrigeration, lighting, medical devices, water distribution, power supply to nuclear plants, etc., etc., will claim more lives as time goes by (without even mentioning the resulting social chaos; oops, I just did). Who would have ever thought that people would die if you turn off ~45% of the electricity in the US without something to replace it? That ~2% from solar and wind will sure put a big dent in saving some of those lives (that is, when the wind is blowing at the right speed and when the sun is shining and when that power can be ported into the grid in an acceptable manner). Why, you might even have to give up using your computer. Now, THAT would be suffering. It can be fun to look at one side of a coin. The real world needs evaluation of costs versus benefits. Theo, yes I agree. If you do not police the sceptics when you are in a position to do so, than you really do silently agree with them. I think how Anthony et al handles them is great because they forced them to defend their more stupid arguments and in doing so they show that they have no clue and are not really sceptics but die-hard believers of their own pet theory. Pet theories seem to abound nowadays where people are allowed to state and believe whatever they want without actual discourse and eventual derision when they fail to prove their case as is proper. I have read Anthony’s take on this and thought about it a great deal. I think he handled it better than I could have and am satisfied that him and a couple others are serving the sceptical community well. This is also why I actually INSIST that people tell me I am wrong when I am wrong. I would rather look a fool once on an internet message board than to have people continually dodge and skirt the issue and allow me to have delusions. This is why climate science is in such a sorry state. When you have delusional folks like Mann running around thinking they really are intelligent when they are at the same level of a retarded monkey….why that is your problem right there! Between incompetence and cover-ups and other nonsense, this position just guarentees that only the most incompetent and most political savvy folks make it. In other words, you do not have nearly enough scientists speaking out about it and forcing intelligent discourse. Heck, the most recent post here is about scientists who bury their head in the sands instead of actually rebuking with integrity, honesty and facts. That is why Mann is a moron. Not because he believes a certain way but because he can not even defend his work and beliefs and HAS TO resort to platitudes and nonsense like “shutting down the debate.” If his beliefs and work actually had merit, he would WIPE THE FLOOR with sceptics at every chance. But he can not and deep down he knows this. Since I am obviously very dense, could you please explain to me what those ideas are and which ones I have defended, either tacitly or overtly? Then I shall at least know what I have to defend myself against. I can’t vouch for the figures on nextbigfuture.com so they could very well be wrong. And you are right to point out that there is no moral equivalence. However, the original sentence I was querying used a value loaded term that has yet to be demonstrated to have any substance. You are free to make your point about any energy source you like, as am I. In the meantime, I think this from New Scientist might interest us all: http://www.newscientist.com/article/mg21829202.300-how-the-cold-war-spawned-the-environmental-movement.html. I learned more from this than I did from the earlier links I was pointed towards. I’ve been detailing your tricks, all along. Of course, you pretend otherwise. You are very good at what you are doing. Flattery will get you everywhere. Or you could answer the question. I know others have given you links to what some of the more rabid greens believe in, but I just figured you might like that site. Like I stated before, the green movement is fully responsible for what these dorks say. By not denouncing them on the spot and right than and there (if someone in my company called humans maggots, I would call them a dork, and push them into a wall and not let them move. After all, if we are maggots, isn’t that how maggots behave?) The irony will probably not be lost on the “dork”. And so that dork will no longer utter such a stupid thing. But greens refused to either through words or actions or the throwing of rotten veggies to stop that kind of crazy thoughts in their tracks. And so the responsibility of their inclusion in this type of thinking is already set into stone. They agree with their silence. I posted a longer thing about this earlier. But that will remain until you can actually prove your assertions that “not all greens are like that.” Because frankly in my experience I have never met a green who ever discusses a thing of substance. The only discussion you can ever get out of a green is the question of how much we must deindustrialize to save this planet. Some claim that hydro and/or nuclear is ok until we can invent something new. Others claim the opposite. But none of them thinks Natural Gas or Coal or Oil should ever be used. And they DEFINITLY don’t think we should allow other countries to industrialize. Is that because the other countries are of other races? And that is why it is ok to control those people so strongly? I really don’t know, because greens really do not use logic. I have talked to quite a few and that is what you get out of them if you can get them to be honest for a few seconds. At the core, their belief is that humans are all bad and evil and anything man does is evil. But do they want to give up their cheap electricity? Nope, the bigger the green, the bigger their energy footprint and the bigger their mansion. Perhaps some of those greens who are fawned over are just laughing all the way to the bank (like Al Gore). But regardless, the green movement IS in the state it is in because of silent agreement among other greens who have no problem with people stating these awful things. If you can prove me wrong, I will appologize. But I really doubt you can find a green who is not as awful as I stated. IN the end, they always utter the phrase “to make an ommellette you need to break a few eggs” as if a platitutude like that makes it ok to play God over another race. Excellent! But I didn’t do that. I just pointed out the absurdity of your statement that somehow using fossil fuels can be considered an alternative to using renewable energy sources (“Since it would appear to be that the alternative to using renewable energy sources is to use fossil fuels, we could look at the suffering from respective energy sources.”). Coal 45%, solar and wind ~2%; those aren’t alternatives (or equivalents). Shutting down fossil fuel power production would cause suffering and death. Are you advocating that? That is of course totally preposterous nonsense. Catastrophic environmentalism dates back to the Nazis. That statement is vacuous and utterly dishonest, yet you made it. Maybe some day you will catch on, but for now, you betray yourself. Can I assume that you don’t have an answer? I asked you to tell me what modern evils I was supporting but you chose not to do so. Perhaps you realised the absurdity of what was said. As for rhetorical tricks – there are plenty of them used by commenters on this site. I presume you see them for what they are too. But rhetoric won’t answer the climate change questions – scientific evidence will. I don’t claim to have answers but I do have questions and I feel confident I can spot assertions so sweeping they need to be challenged. It is a perfectly sensible thing to do. I take my cue from Carl Sagan’s baloney detection kit. Carl Sagan never applied his baloney detection kit to the crackpot computer model he used to spread Nuclear Winter panic. He probably needed the book sales. If Sagan didn’t apply his own methods to his own models, he does concede in 1996 that the most recent models had revised the estimates downwards (ie less cooling). Current thinking is that there will be a nuclear winter following a even a limited nuclear war. I recommend The Demon Haunted World to you. Since coming to Malawi 21 years ago there have been 2 instances of dry years, 1991 – 1992 and 2001 – 2002. The Agricultural University here uses two groups of data to show that there is now less rain than previously by making the split in 1990. So of course the later years are drier. Much of the problem is continued burning of crop stover which reduces the infiltration capacity of the soil. Also increased land under cultivation also increases run-off and siltation of rivers. I know of data collected on four sides of the old capital, Zomba, that shows in one year more rainfall diversity that the last 30 years, so is Global Warming only affecting one side of a town and not the other?? There are many climate related changes here but most can be attributed to poor land management. Much like the Mid West dust bowls!!! Yes and no. Both are related. For details on cause and solution to global warming and shortage of water please click on my name. “How much MORE rain, will global warming bring ?” (my emphasis). Note; the premise is that global warming will bring MORE rain, not less. The paper is by Frank Wentz et al; he is with RSS, one of the four “biggies” of Temperature records, and one of the two satellite based outfits (besides UAH). In that paper based on actual experimental measured data; not coupled global models, or whatever they are fashionably called..
Wentz et al reported that a one deg. C increase in mean global surface Temperatures (maybe lower troposphere) results in a 7% increase in global evaporation, a 7% increase in total atmospheric water content, and a 7% increase in global precipitation. Now global precip, must agree with global evaporation, or else we would end up with the oceans over our head. Now the interesting part is that the GCM folks, entirely agree with Wentz et al, on the 7% increase in evap-precip, but they insist that total atmospheric water content is NOT 7%, but more like 1% to 3%. That’s as much as a seven to one margin of error from measured data. Now I’m not much of a modeler, but I get uncomfortable thinking about a presumably roughly linear system, where the totals tend to be the integrals of the increments, if the integral only grows at one seventh the rate of the incrementals. And I say the system is roughly linear, based on the premise, that at any time the total range of Temperatures from place to place on earth, could be as much as 150 deg. C, all on the same day at the same time, and where it quite routinely is at least 120 deg. C. but we are talking about climatic changes amounting to only one deg.C at most, in the last 150 years, so a miniscule fraction of the possible range. So I would give a major fail to the GCMs in that a seven to one error, or even a 2.33 to one error, is not a credible model. Now it so happens, that the latest issue of Physics Today Journal, contains a very lengthy and detailed paper about the effect of water in the atmosphere. It scarcely mentions CO2; it’s all about water, which they say is 0.25% of the atmosphere. They also say 99% of that is water vapor. They mention that only 74% of incoming solar radiation reaches the earth surface, which is about 1,008 W/m^2, in good agreement with what solar energy folks take as a given. The rest, is absorbed by the atmosphere or scattered, largely by water. Note, this has nothing to do with clouds. That’s what reaches the ground under CAVU conditions. The paper goes on to say, that of the LWIR radiant emission from the surface, only 26% escapes to space; the rest, as they say, warms the atmosphere, largely via the H2O GHG effect. So more water in the atmosphere means more atmospheric warming, so positive feedback of course. Now, they say absolutely not a word, about the simple fact, that more water in the atmosphere mostly as vapor, also means more absorption of INCOMING SOLAR ENERGY, which will never reach the surface or the ocean storage depths, as solar spectrum energy. Hey dummies, that ALSO is warming the atmosphere, and with photon energies that are 10 times the photon energies of the surface LWIR emissions. So they are fixated on surface LWIR GHG warming of the atmosphere by water vapor, and completely ignoring, the far more significant atmospheric warming by the sun. In any case, atmospheric warming, particularly upper atmospheric warming, is a good thing for global cooling. The hotter the upper atmosphere Temperatures, the faster it radiates to space. Well I can’t relate the whole paper here, it is quite readable, with a lot of information; but numerous glaring omissions like the one I just mentioned. 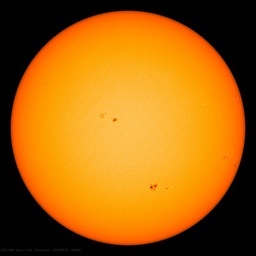 They arrive at positive feedback, by simply ignoring the biggest atmospheric warmer of them all; the sun. Don’t have the paper in front of me, at the moment, but the lead author is a top honcho, at some Max Planck establishment. Among the “experts” they had conversations with, is none other that Peter Humbug, who uses his Xbox to create these GCMs that don’t agree with each other. Nowhere in this Physics Today Paper, do they compare their ideas on Water in the atmosphere to EXPERIMENTALLY MEASURED GLOBAL TEMPERATURE DATA.. Only to the GCMs. I’m almost inclined to write a letter to Physics Today, since they send me their Journal, and ask, why such glaring omissions, as neglecting the increased atmospheric warming (and consequent surface cooling), caused by INCREASED water in the atmosphere, absorbing more incoming solar spectrum energy, which cools the surface. I don’t recall them explain how a warmer atmosphere creates a warmer surface. they liberally mention the first and second laws of thermodynamics, so maybe they know some novel way whereby heat energy from the cooler upper atmosphere, can somehow propagate to the warmer surface from whence it started its Temperature gradient driven escape to space.. When I get more time, I’ll get the actual issue, and give you the authors, and more of the facts. Bottom line, I did NOT get the impression that this paper was pushing MMGW. It did seem fairly straight; but that simply makes the glaring omissions, just that much more inexplicable. There’s a humdinger of a new high tech battery for Teslas and Volts etc. Forget about zinc-air batteries; that’s so yesterday. Wrap your arms around a shiny new Lithium-Air battery. Say did I mention, that there is no such thing, as zinc-air battery. It’s really a zinc-Oxygen battery. Well along with the atmospheric Oxygen, a Zinc-Air batter, is also a Zinc-nitrogen battery (total dud), and also a Zinc-H2O battery; think galvanizing. But not to stray too much; the shiny new battery is Lithium-Air, not zinc. Anyone ever toss a slab of Lithium into water; or Nitrogen, for that matter. I guess Lithium-air batteries come with built in lighting or even fireworks. Don’t try building a Lithium-Air battery at home on your kitchen table. But the atmospheric water paper in PT is worth reading, if you can find it at your local library, June 2013 issue. As to the core subject of this thread, it seems to have spawned a side subject about the use of “good” energy versus the use of “evil” energy; and whether developing countries or communities should even be allowed to use “evil” energy. And this in Africa of all places; ancestral home of all of us. Time was when all we had was good clean free green renewable energy, ours for the taking; non polluting, and bio-degradable. How green can you get ? Well I’m talking about our African ancestors who had nothing but free clean green renewable energy; mostly in the form of ripening figs up in the tree tops, that our ancestors clambered around in. Spent darn near every waking minute chasing after those figs, and trying to beat all those little varmint monkeys, to all the really good figs, out on the smaller branches, where they could get more sun. Well we were just too big and clumsy, to beat those monkeys to the choice pickings. Now we know from Jane Goodall’s studies, that most likely our ancestors, just like the chimps, and bonobos, figured out, that we might as well let the monkeys get the good stuff, we couldn’t reach, and the we simply could grab them, and smash their brains in with a rock, and eat them instead of the figs. So now we had “tools” made out of rocks, so we could increase our food supply. Well I’m sure the liberals at the time called them “weapons” instead of tools. The big break through came after we discovered that grass wasn’t so good to eat, despite the fact, that millions of very large animals just loved the stuff. A chance lightning strike; no doubt heaven sent, set fore to that grass, and a bunch of zebras and gnus got caught up in it, and got barbecued. Well what a bonanza; those cooked zebra steaks were delicious; good thing we had gall bladders to store up surplus bile during the dry famine season, so we could really pig out, when we hit the food jackpot.. And the cooked meat kept a lot better, than the remains of some gnu that broke a leg in a Meercat hole, that we discovered long after the griffons had eaten most of it. Pretty soon, we figured out how to break some zebra legs ourselves, with even better tools; excuse me; weapons. But it was the fire that was the big break. The discovery of stored chemical energy, in dry grasses, or wood from trees, until we eventually stumbled over evil fossil fuels like tar, and petroleum, and worst of all peat and coal.. Yes it was fossil fuels that finally freed us from the fig trees, and sent us on our way to species success. Free, clean green renewable, bio-degradable non polluting energy, would have left us still up in the trees competing with the monkeys. It was fire and fossil fuel energies that released us from perpetual feast or famine, and enabled our modern marvels like Facebook, and Micro$oft Windows. Renewables never got us here; and they can’t possibly sustain us here, in our present numbers. And for “fore” try “fire” instead; must’ve had a plum; excuse me, fig in my mouth at the time. Remember what happened to the chimpanzees , at Gombe, when Jane Goodall installed banana supermarkets for them. Seems a bit like rigging the experiment to me. Nonetheless; I do think of Dr. Goodall, as one of the truly remarkable people of our history. Sad that Dianne Fossey’s story went a different route. There is another way to look at the suffering aspect. Since it would appear to be that the alternative to using renewable energy sources is to use fossil fuels, we could look at the suffering from respective energy sources…. That certainly is one way to look at it but it pales into comparison with those that die each winter due to fuel poverty. This past winter Germans were forced to steal wood from the forests to heat their homes. In the Third World people burn chopped down trees as well as dung, candles, kerosene, etc. I could go on but imagine the number of deaths among those who can’t afford shiny solar panels and high tech wind turbines? Yet there is an emerging policy of depriving poor countries of loans to build coal or oil fired power stations. How is one to run an ambulance in Burundi or Cambodia for example that does not use petrol or diesel? Many of these new clean energy technologies cannot run the vitals for an entire nation (small domestic maybe). Look Margaret I speak from first hand as I live in one of those developing countries. References only for Western countries. By the way your alternative energy sources can be very deadly. Oh, and nuclear is the safest of the lot. Why don’t greens embrace it wholeheartedly? Mining for rare earth metals to produce wind turbines, electric cars and other technology has created a huge toxic lake in Mongolia which is poisoning farmers and their children. I’m no expert on African history, but it does seem that Africans achieved their greatest successes, and made their greatest contributions to planet earth, when they freely and of their own choosing, left Africa to go and look for “greener pastures” elsewhere on the planet, outside of Africa. That could lead to an argument, that the problem, is and was, not Africans, but Africa itself. Sometimes the ground shifts from under your feet and you can’t feel it. Africans still have some way to go but it’s not ‘worse than we thought!’ The humble mobile phone has liberated many too. By the way only 5% of Africa’s fresh underground water is tapped. Water, water everywhere but not a drop to drink. The water is there, they just need more boreholes. 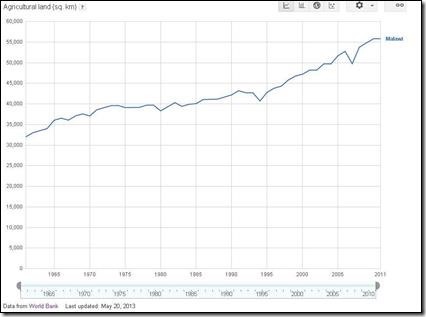 Some of the fastest growing economies in the world today are in…………………. Here are the large water reserves for Africa waiting to be literally tapped. 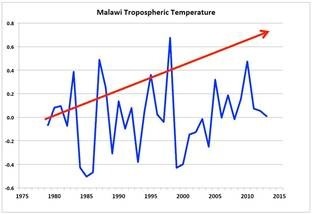 This above Malawi article is just a pile of Warmist crap trying to spread fear and despair. I am an optimist and this is what largely separates sceptics from lying doom mongering Warmists. New research funded by UK aid has uncovered huge stores of groundwater in Africa – a vital resource that could give millions of people across the continent access to safe drinking water. Across Africa over 300 million people don’t have access to safe drinking water. But today’s findings show the volume of water available underground is 100 times the amount found on the surface – water which could be tapped to meet the need.